Your e-commerce store is one of the most important parts of your website. Not only does adding e-commerce functionality to your site make it easier for existing customers to place an order, it also enables entirely new audiences to find and purchase your offerings, no matter what time it is or where they are in the world. It should be built on solid technical foundations so that it has limited downtime and can handle upticks in demand. It should be trustworthy so that your customers feel comfortable providing their personal information and sending you money. Finally, and perhaps most importantly, it should create desire and have a clear value proposition so that shoppers want to buy your products. In order to achieve the above goals, many companies — particularly those with a limited technical background — choose a pre-built e-commerce platform from Shopify. Since its release in 2004, Shopify has grown immensely in popularity and now powers 10 percent of all e-commerce stores worldwide, including major firms such as Budweiser and Tesla Motor. Although Shopify comes with many features and advantages, it's still not necessarily the right choice for every company. For a variety of reasons, your organization might be better served by using another pre-built solution, such as WooCommerce, or a custom e-commerce website that's specially built to mesh with your business. Much of Shopify's popularity is no doubt thanks to its rich array of features. First, the software comes with dozens of themes you can use to change your store's look and feel. Because so much online shopping occurs on smartphones these days, Shopify is also fully optimized for mobile devices. The Shopify platform comes with a dedicated analytics dashboard for observing your store metrics and KPIs. Of course, all these features are available when you work with the right custom e-commerce development team as well. One big problem with using Shopify is that it's not necessarily easy to move to another e-commerce solution once you've outgrown the platform. You'll almost certainly want to migrate your database during the transition, but doing this manually puts you at risk of losing or duplicating data. If you don't feel you have the right technical skills in-house, you should probably contact an external developer or team who can do it for you. Custom-built e-commerce sites, on the other hand, can grow with your business, so you never feel like you have to "leave." If you decide that you need a new feature for the platform, your custom e-commerce developers can do that right away, instead of you having to wait and hope that Shopify will eventually add it. Also, because Shopify is a mass-market solution intended to appeal to a variety of companies, its customization options are limited beyond the offered themes. It's difficult or impossible for Shopify to accommodate some unique selling situations, such as only allowing certain items to be purchased in combination with certain other products. Shopify uses a tiered pricing model with three levels: $29/month for the basic functionality and two higher tiers at $79/month and $299/month. The highest tier includes extra features such as more staff accounts, lower credit card rates and transaction fees, and advanced report generation. Unfortunately, this kind of tiered pricing means that Shopify can nickel-and-dime you for additional features you really need for your business. It's also a recurring monthly cost, which is good if you prefer operating expenses over capital expenses, but it can get pricey in the long run. Using a custom-built e-commerce website requires a larger upfront capital investment, but it should pay for itself over time. If you're wavering between the two options, look for a break-even point where using custom development becomes cheaper than a pre-built solution, and decide which side your business falls on. If you don't want to use a WordPress-based solution such as WooCommerce, but you still prefer an out-of-the-box e-commerce platform, then Shopify may be the right choice. Pre-built solutions such as Shopify allow you to get a site up and running quickly. If you're deciding between using WooCommerce and Shopify, you should know that while WooCommerce is cheaper, Shopify is likely more secure. You may also want to use Shopify temporarily, in the early stages of your business, so you can start selling products while you build a more lasting custom e-commerce solution. This also allows you to figure out what features you need that Shopify doesn't provide so you can incorporate them into the custom platform. On the other hand, if you know that you have a unique situation, going custom right away may be your best option. 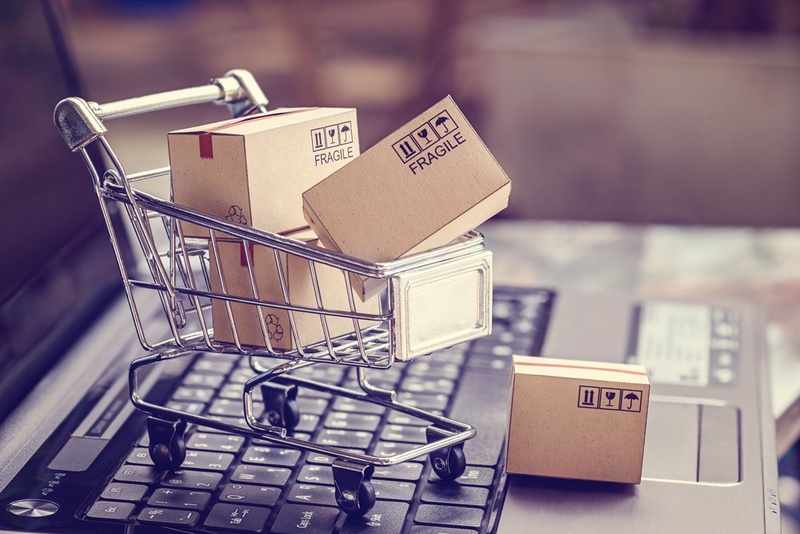 Whether it's including different options for product customization or handling special rules for shipping, only a custom-built e-commerce solution is able to properly serve all the potential challenges your business might face. By building a custom e-commerce website, you're guaranteed to get the features you need, exactly when you need them.